Kitchens are some of the most attractive and enticing spaces in any home. If you’re planning on remodeling a kitchen, make sure to visit ProSource® of Fort Worth. From cabinets to counters to faucets and sinks—a bevy of products await, providing both form and function. And our wholesale pricing will ensure the budget is cared for as well. 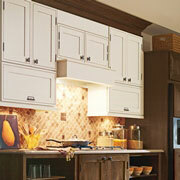 Visually appealing and functionally pleasing, kitchen cabinets can define the kitchen’s personality. Choose a door type, shape, color, and more that ensure the design preference is achieved. Our kitchen designers are ready to assist throughout, ensuring the process is stress-free. 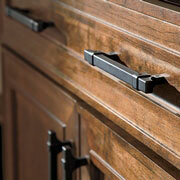 The right kitchen cabinet hardware not only makes new cabinets more functional but also more fashionable. ProSource offers pulls, handles, and knobs in a wide variety of materials and finishes so you can find the right hardware for any kitchen’s decor. 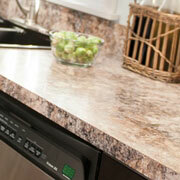 The countertop in any kitchen plays host to different tasks every day. That’s why it’s important to choose a long-lasting and attractive countertop for your kitchen remodel. At ProSource, we offer countertops made from timeless materials like granite and quartz, as well as modern choices like recycled and blended materials. 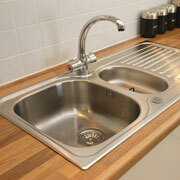 The kitchen sink receives more than its fair share of daily use. Consider the function as well as the design, then consider ProSource as the source for kitchen sinks. We offer single, double, and even triple basin options, in numerous colors and materials, that can be installed above and below the countertop. 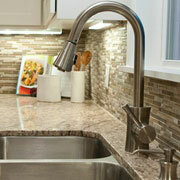 The modern kitchen faucet has more than just a spout and handles. At ProSource, you’ll find options with pot-fillers and beverage faucets in a bountiful range of finishes and styles.